JILL SYMES is a Melbourne-based ceramic artist producing a continuously developing body of distinctive ceramic works which demonstrate developed handbuilding skjlls and a mature understanding of the exciting possibilities of earthenware clays and glazing techniques. Symes has an intensive national and international presence spanning the past 30 years. 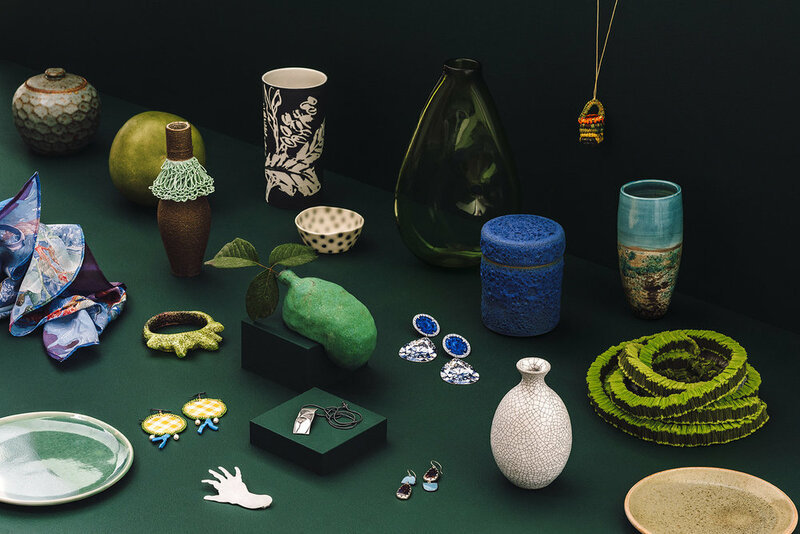 Exhibitions include but are not limited to Women in the Whitehorse Art Collection 2018, Victorian Craft Award 2015, Big Ceramics 2014 (Craft sponsored exhibition in Federation Square), Moments in Time 2014 (Kerrie Lowe Gallery, Sydney), Fragments of Landscape (Kazari Collector, Melbourne 2010), Impressed, Contemporary Australian Ceramics (2006, New Delhi Pottery, India). Her works are have been acquired by numerous public and private collections world-wide (including Shepparton Art Museum and Whitehorse Art Collection). Her commissions include several open editions of sculpture for the NGV Design Store over recent years.